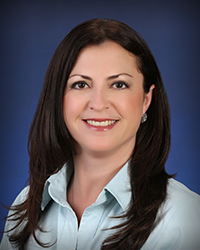 Melissa is a structured settlement consultant handling cases throughout California as well as nationwide. She joined Atlas Settlement Group in 2007 and specializes in cases involving personal injury, medical malpractice, wrongful death, minors and class action as well as non-physical injury cases such as employment, discrimination and attorney fees. As a highly experienced structure consultant Melissa is dedicated to facilitating successful settlement outcomes for her attorneys and their clients. Focusing on the immediate and long-term financial needs of each plaintiff by tailoring the structured annuities to meet their specific need for monthly or lifetime income, medical care, education, retirement planning or any other financial concern, she provides injured plaintiffs with peace of mind now and for their futures. In addition to financial assessment and annuity planning, Melissa also attends mediations and settlement conferences across the U.S. free of charge, evaluates the potential need for a Trust, SNT or Medicare Set-Aside, prepares proposals, assists with overall case evaluation and reviews the legal documentation involved pertaining to the annuity. Melissa is a proud Business Partner with Consumer Attorneys of California (CAOC), a member and supporter of Consumer Attorneys Association of Los Angeles (CAALA), San Francisco Trial Lawyers Association (SFTLA), Orange County Trial Lawyers Association (OCTLA), and the American Association for Justice (AAJ). As an active member of the National Structured Settlement Trade Association (NSSTA), Melissa was recently elected to their Board of Directors and also serves on the Education Committee. A native of California, Melissa earned her Bachelor degree in Political Science from the University of California, San Diego. She has a wonderful husband, two amazing children, enjoys the outdoors for hiking, biking & family camping trips and frequently goes to live music shows.